Celebrate Sue Lawton’s tale of strange beasts, troublesome felines, and nocturnal gatherings! Authored in her eight-month residency during the Wilson Center’s 2013-2014 season, The Fire Keepers is the first book published by the Wilson Center. The story it shares of a young girl living in 19th century Brookfield and the fantastical creatures she encounters while on adventures with her feline friend is inspired by Brookfield’s landscape and Wilson Center performances, and its title stems from a beautiful focal point of the Wilson Center: artist Susan Falkman’s sculpted fireplace Streaming. Sue (Goetz) Lawton was born and raised in the Milwaukee area and has been drawing for as long as she can remember. 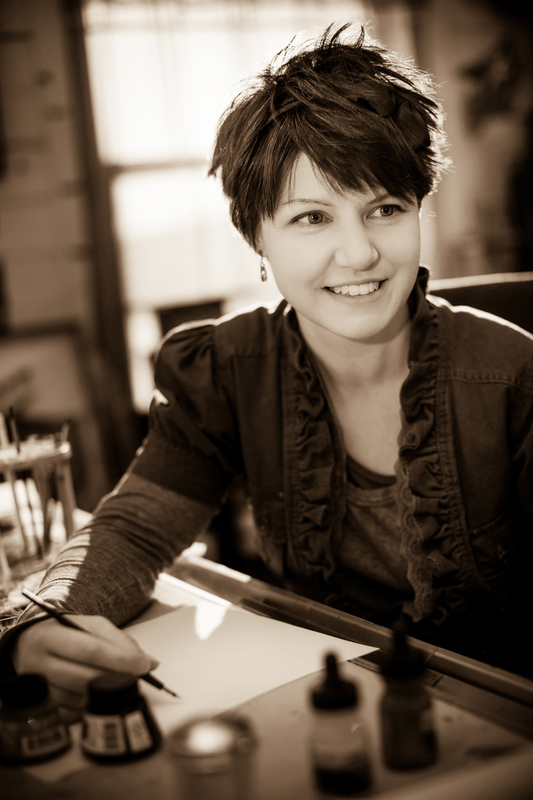 After receiving her BFA in 2002, she has been working extensively with images that tell stories. From discarded card catalogs to the opera to Wisconsin circus lore, she seeks to tell her own story through exaggerated, lavish romance and a quirky twist of humor.